This is Chris’ first collection with GIA, and we warmly welcome him to the GIA family. The music is solid and fresh with a contemporary sound. The melodies are memorable. This new release will cross generational lines as well. Chris de Silva’s welcoming composition style has a contemporary feel that is easy to grasp and facilitates the full and active participation of the congregation. With Great Love is a collection of songs that speak of God's love at work in us. These songs are fashioned for use throughout the liturgical year. There is a place in every liturgy and every heart for each song in this collection. The colours of life have inspired this offering of solo piano music. Through time, these familiar hymn tunes and chants have guided, strengthened and comforted me. I am delighted for this opportunity to re-inscribe the range and depth of emotion that they bring with nuanced classical and jazz elements. Each musical vignette is given a single-word title for the listener’s contemplation and reflection. It is my hope that these images, these “colours” for prayer and meditation might bring God’s presence and peace to the listener. God’s abundant blessings be yours for the journey through all seasons of life. ﻿Mass from Age to Age has a contemporary sound and is filled with interesting harmonies. It includes some Greek and Latin texts of the Mass in addition to the 2010 English revision. 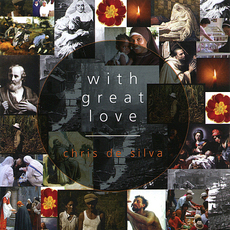 Supported by an inventive piano accompaniment, Chris de Silva's creative choral writing is accessible to singers of all levels. Participation in this mass setting will prove to be uplifting for all! Following up on their moving collaboration on Castle of the Soul, Tony Alonso, Chris de Silva, and Liam Lawton have once again joined their unique gifts to create Pilgrim: Wisdom on the Way. This stirring collection of songs is filled with images of faithful pilgrims that will resonate deep within the soul. Gathered for God is the collaboration of eleven GIA composers joining forces to create music that celebrates God's love for us. 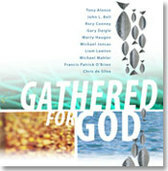 The songs in this collection offer a variety of liturgical uses. ﻿This collection was first released at the Los Angeles Religious Education Congress in Anaheim, California in February 2016 for the Jubilee Year of Mercy. Songs of Mercy includes songs by GIA artists that inspire all to live the call of Pope Francis to be people of mercy in our world. 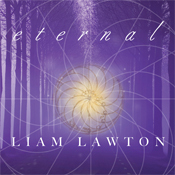 This collection is definitive Lawton: expressive texts, soaring melodies, and deep emotions all imbued with the power of God's comforting embrace. Inspired by life and his experiences in the world around him, Lawton captures these holy moments, gives them a song, and preserves them for all eternity. 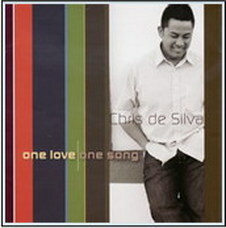 Beautifully scored and orchestrated by Chris de Silva song-after-song inspires a swell of love for God and the gifts bestowed upon us day-by-day.